Communities in flats save mountains of waste in unique partnership Hard to reach residents in flats, of which a significant number of older and vulnerable people in East Sussex are saving mountains of waste from landfill through an exciting community-based project. 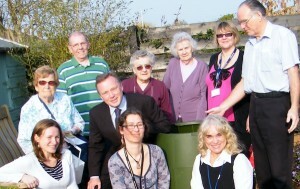 Housing21 residents at Farren Court in St Leonards on Sea, Gavin Astor Court in Bexhill on Sea and Nicholson Court in Eastbourne, as well as AmicusHorizon residents at Priory Road, Hartwicke Road and Willow Glen look set to reduce the amount of waste going to landfill by over 45%, according to the findings of a pilot project. 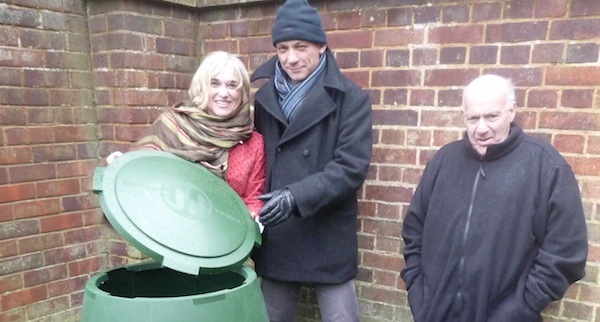 The scheme is the brainchild of Anthea Rossouw, a community- and social development practitioner, who noticed when she was living at Housing 21’s Walstead Court in Crawley that all of the waste was going to landfill. Having signed up to a West Sussex County Council Waste Prevention Advisor course with the University of Brighton, Anthea engaged the residents to provide the skills and knowledge to reduce their waste going to landfill. She also introduced a simple Swedish product called the Green Johanna, which converts garden and food waste into high-grade compost. Unlike conventional composters it is an enclosed vessel, making it vermin proof, and it accepts all types of food, including raw and cooked meat, fish and bones. Based on Anthea’s unique people-based approach, optimising partnerships and lessons learned in these trials, a unique partnership between the various stakeholders gave rise to a new approach to tackle waste in communities. Says Anthea Rossouw: “I am elated by the success of this project and the promise it holds for the future of waste management in counties across the country. Facilitating the partners, to work together with the residents, is a rewarding experience and a solution to sustainability”. Anthea recently revisited Walstead Court to share with residents some very good news about their waste recycling efforts. 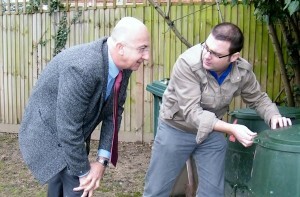 On average the use of black bin bags has gone down from three to one per flat per week. Daily weighing, over a six-month period alone, showed that 280 kg of food waste was diverted from landfill and whilst residual waste has dropped significantly, recycling has quadrupled. David Grayson, chairman of Housing 21 said: “Housing 21 is keen to improve the quality of life for our elderly residents as well as ticking sustainability boxes. This pilot has met our goals of getting them more involved in the running of their schemes. It has helped to keep them mentally alert and more physically active as well as providing an added reason for neighbours to chat to each other. In partnership with the University of Brighton and East Sussex County Council Housing 21, ARA extended the project to a number of other sheltered housing schemes in Sussex and West Sussex. 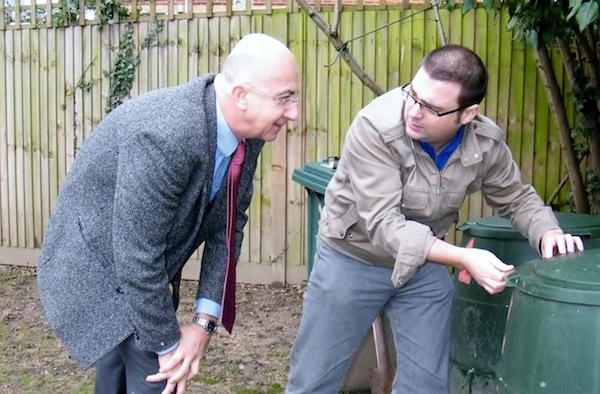 By March 2011, residents have composted over a tonne of food over a period of 3 months, waste removal services and the amount and quality of recycling has improved significantly. 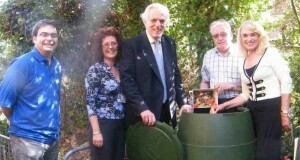 Some residents will soon be using the compost to fertilise their gardens as some have started to grow their own food. Dr Ryan Woodard from the University of Brighton said “There has historically been a problem implementing effective recycling and composting schemes in housing of multiple occupancy. Reasons include transient population, limited storage space for containers and lack of ownership of the scheme. Anthea and ARA has demonstrated that through effective engagement with residents and localauthorities and through providing good services that significant amounts of waste can be diverted from landfill resulting in cost and environmental savings. We are looking to extend the project to other communities”. The project has been part-funded by the European Regional Development Fund and F Montagnino professional garden maintenance providers, and coordinated by Anthea Rossouw who is an independent community and social development practitioner from ARA, which focusses on community engagement. Vince Brightside from F Montagnino said: “We are very pleased to sponsor Housing 21. The benefits that the Green Johanna system brings, both for the environment and for the tenants, is something that we feel very strongly about and we want to help as much as possible”.